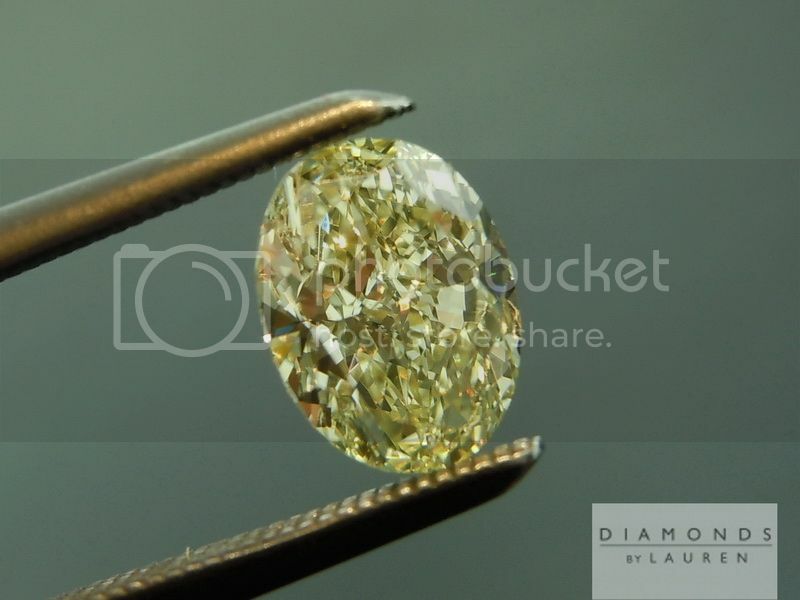 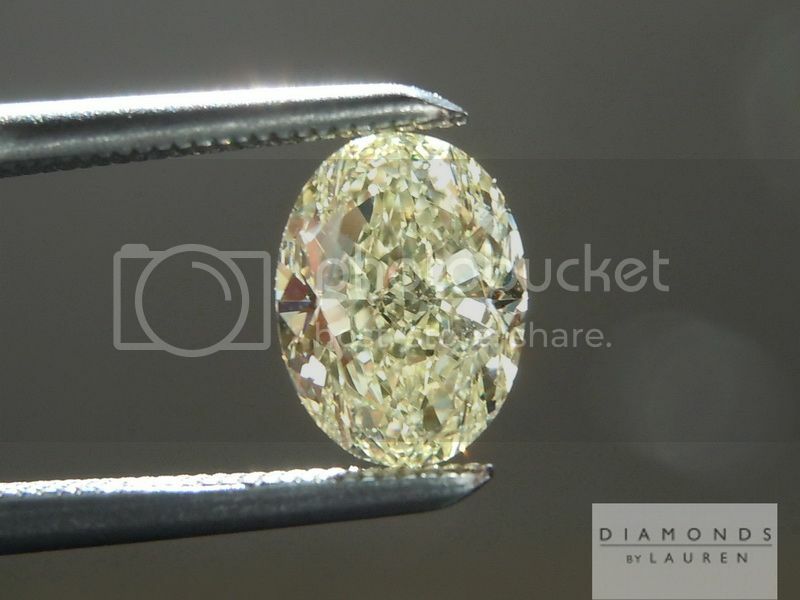 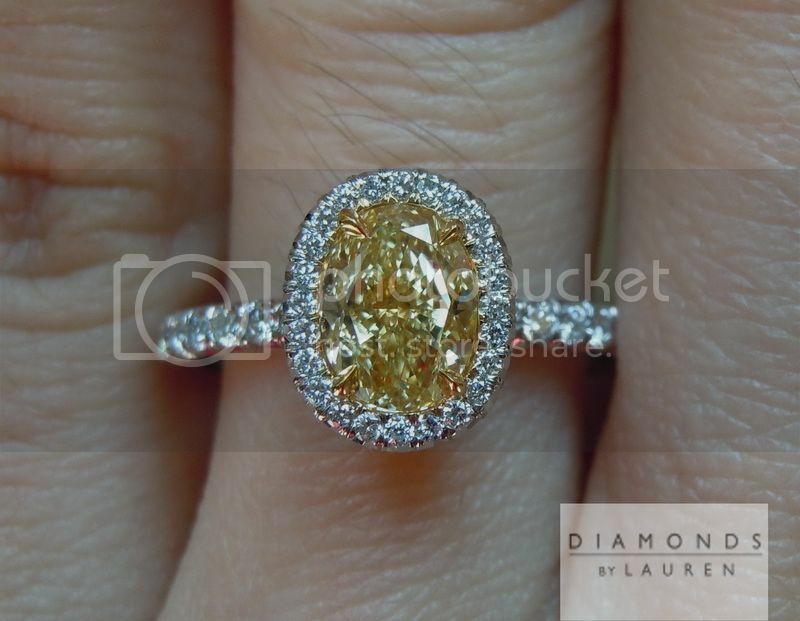 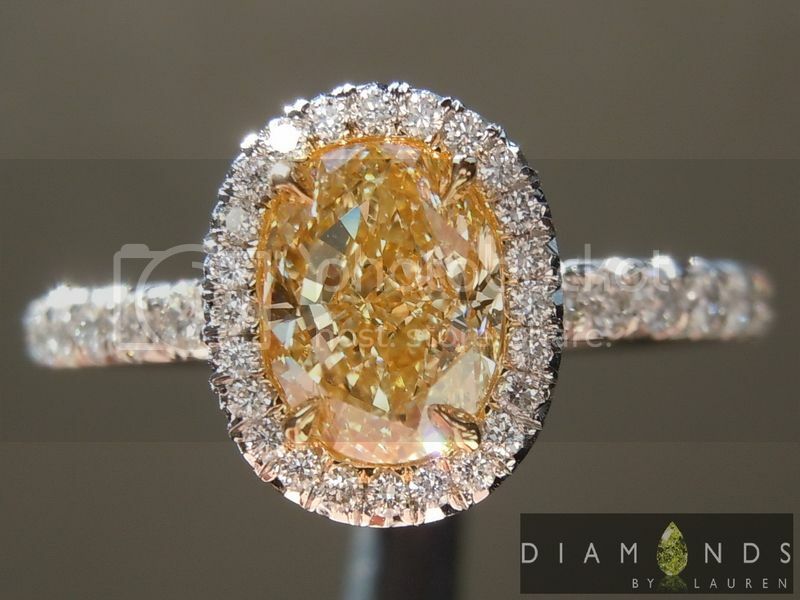 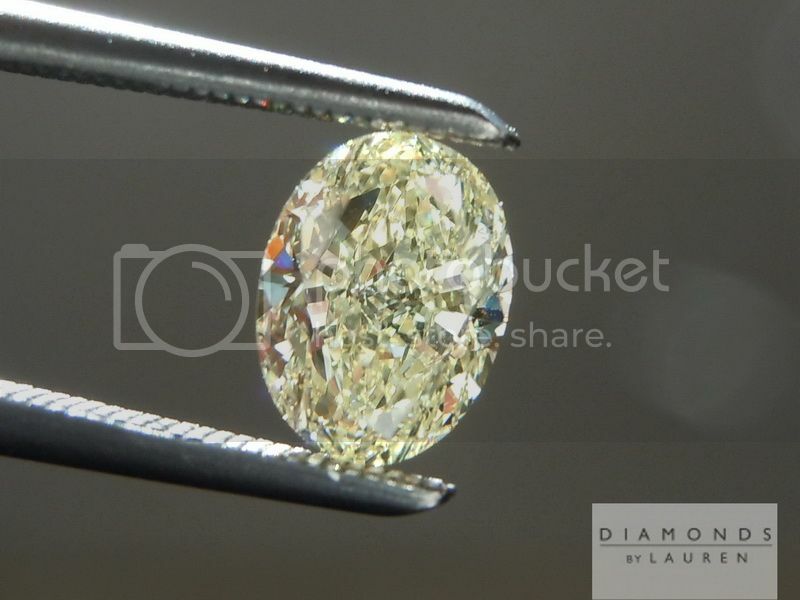 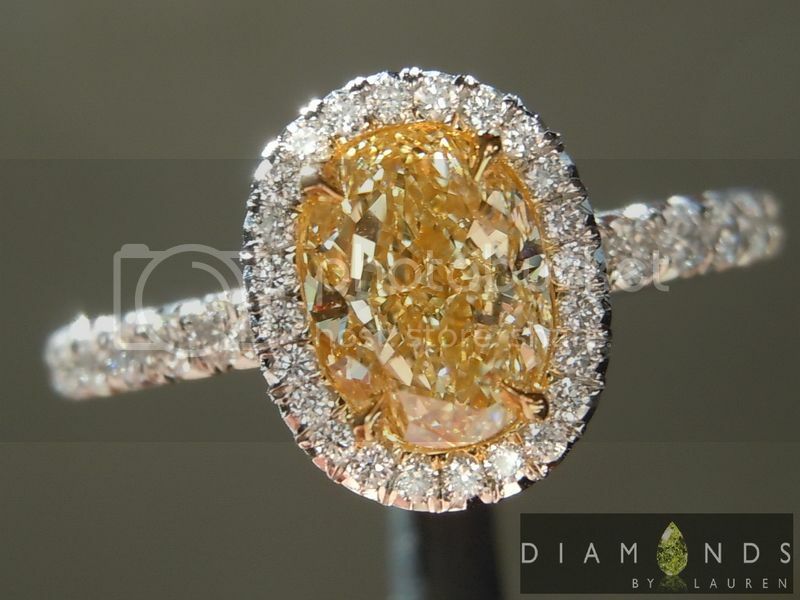 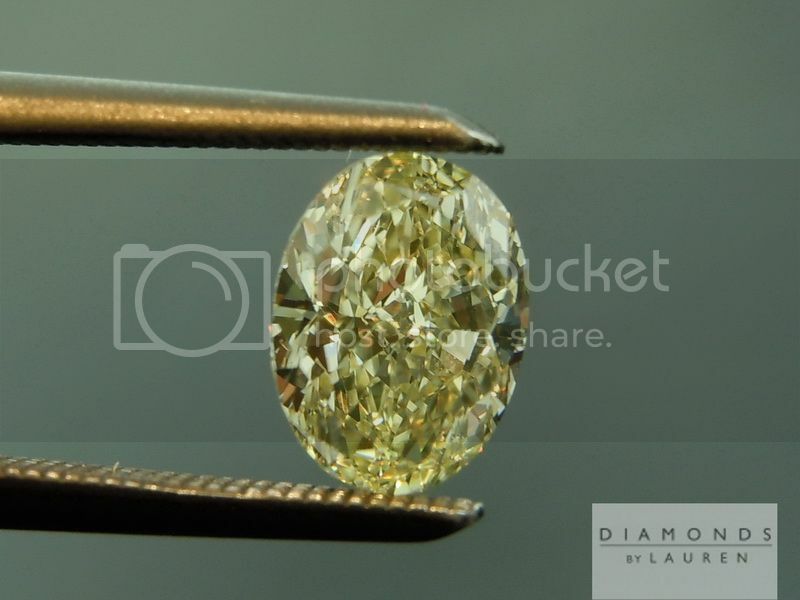 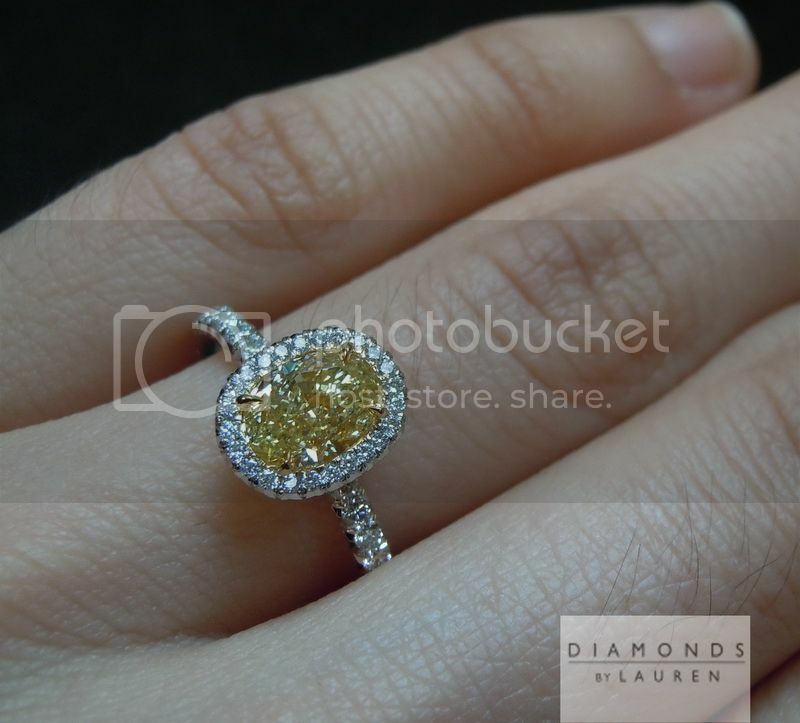 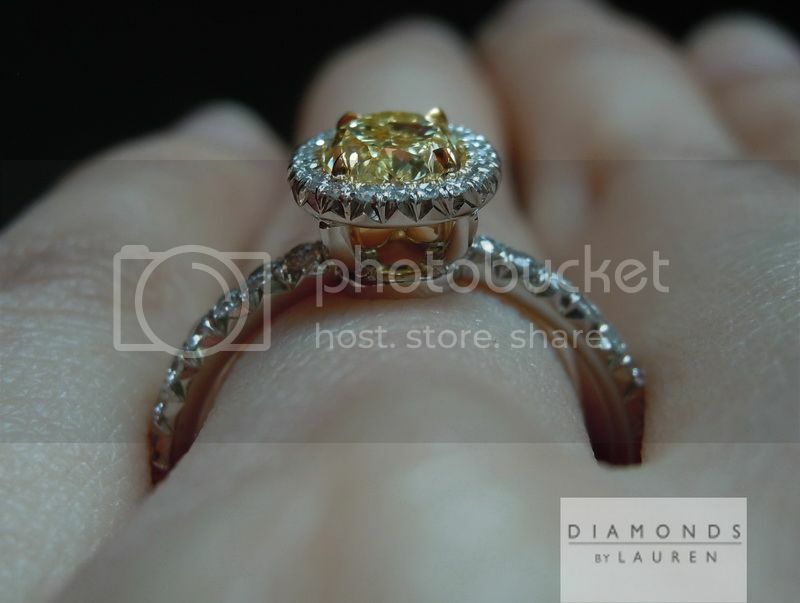 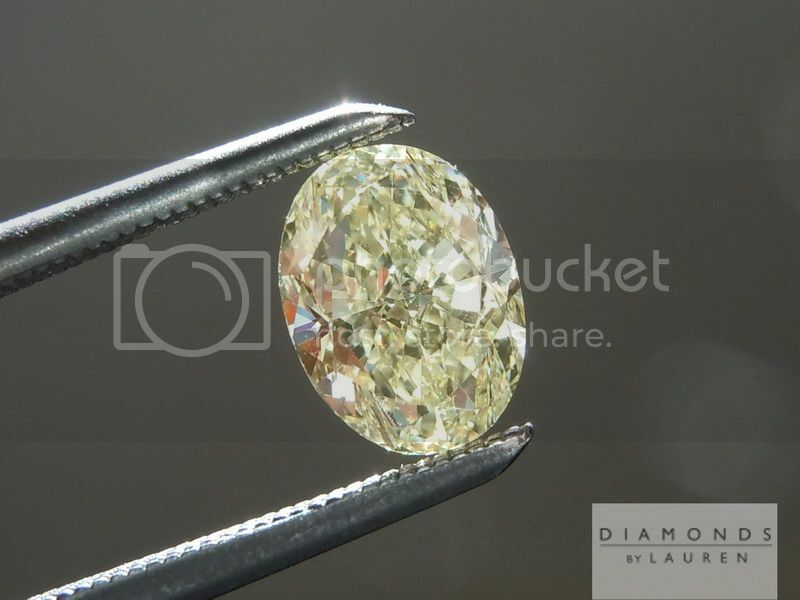 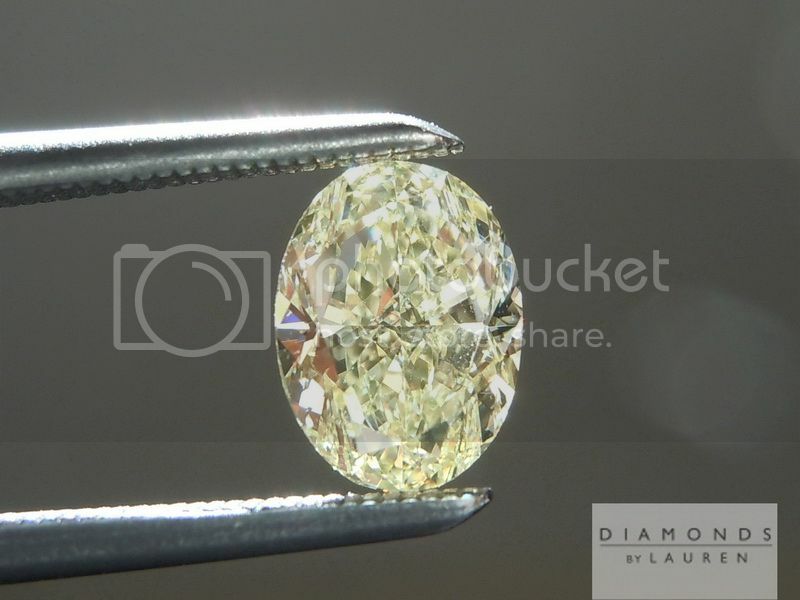 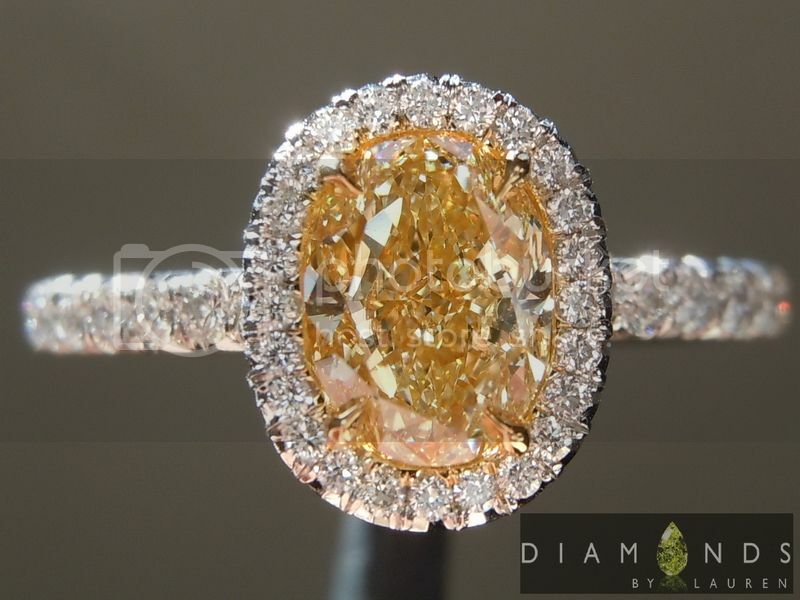 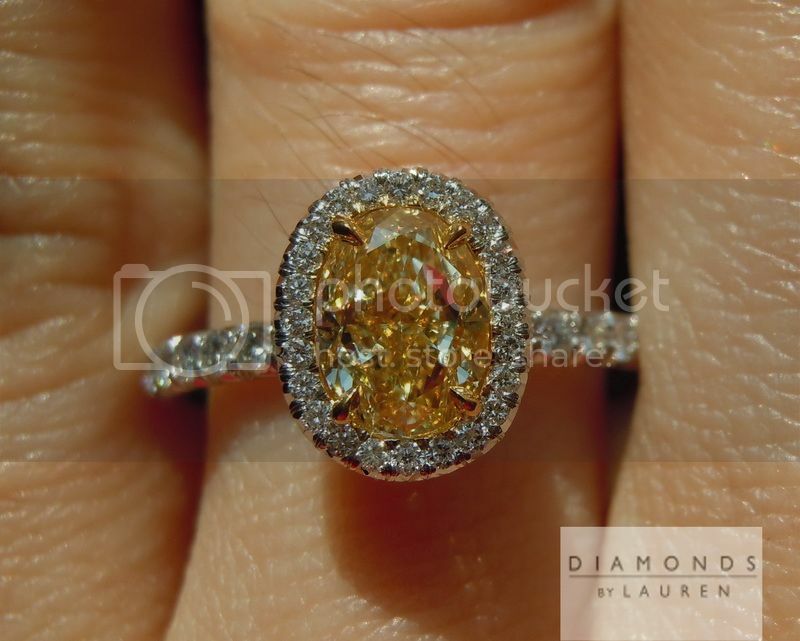 Ovals are actually pretty rare in Fancy Yellow Diamonds - maybe because of the popularity of cushions - many of which are cut from rough that could be cut into either oval or cushion. 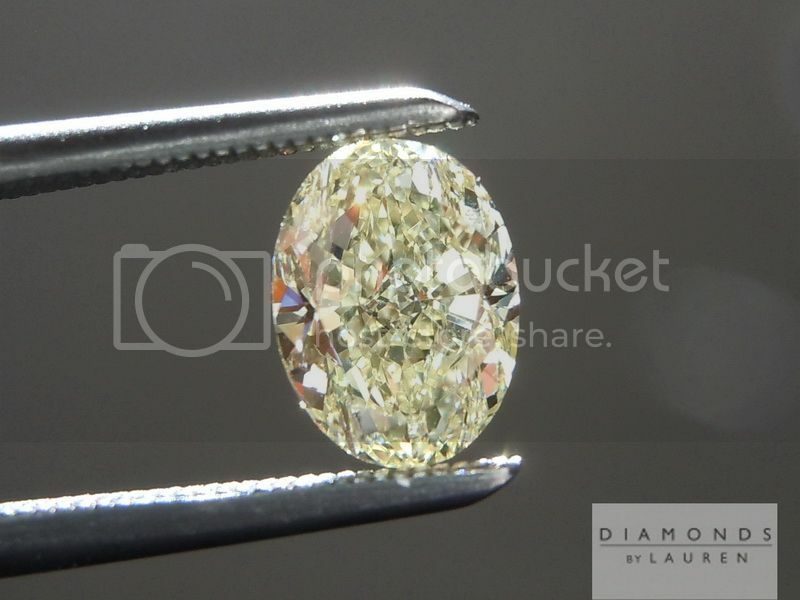 A shame, because a well cut oval like this one has an organic beauty. 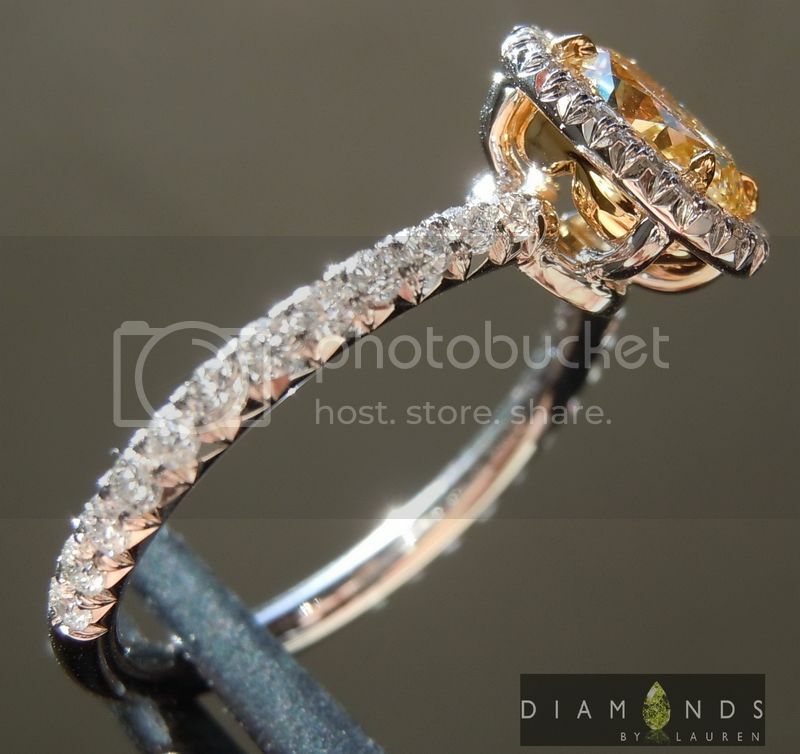 It is very graceful. 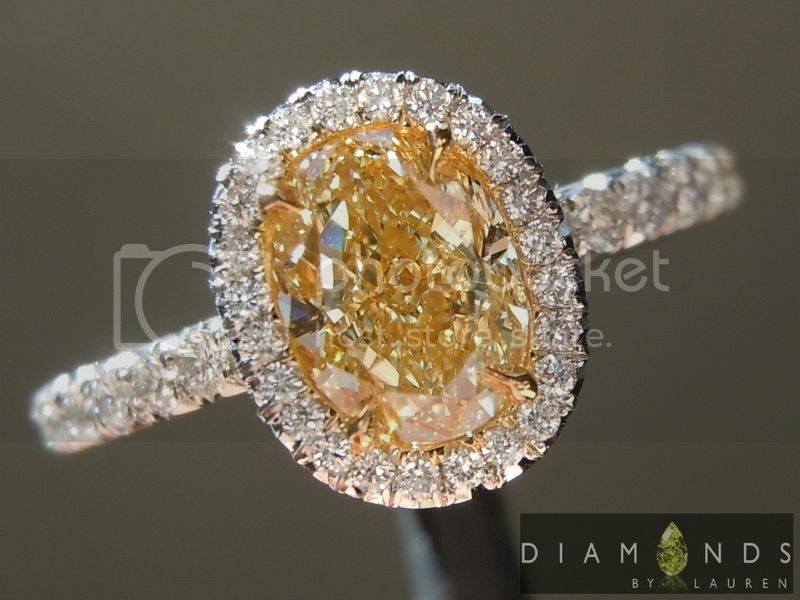 Really lovely sparkle - it is not cut like a white oval. 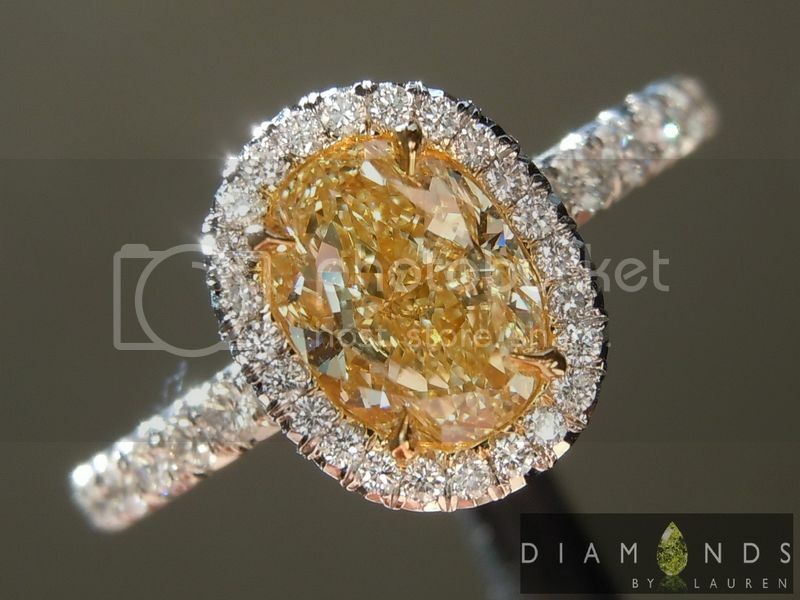 The sparkle goes all through the stone. 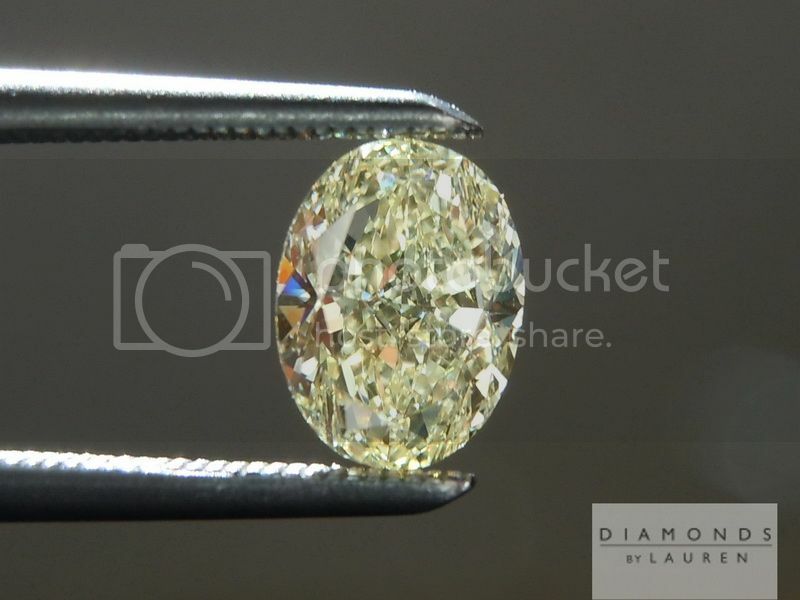 Lovely VS1 clarity. 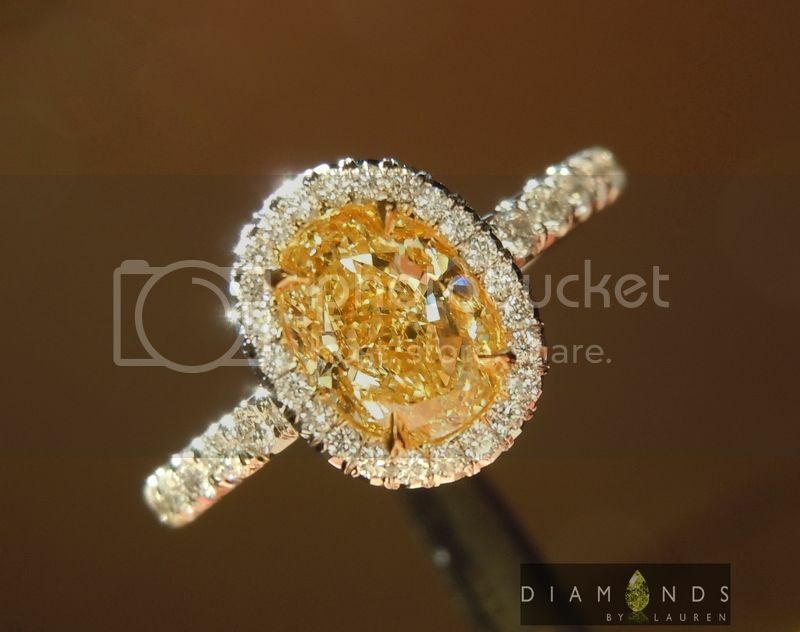 The stone has everything going for it, and it is well priced. 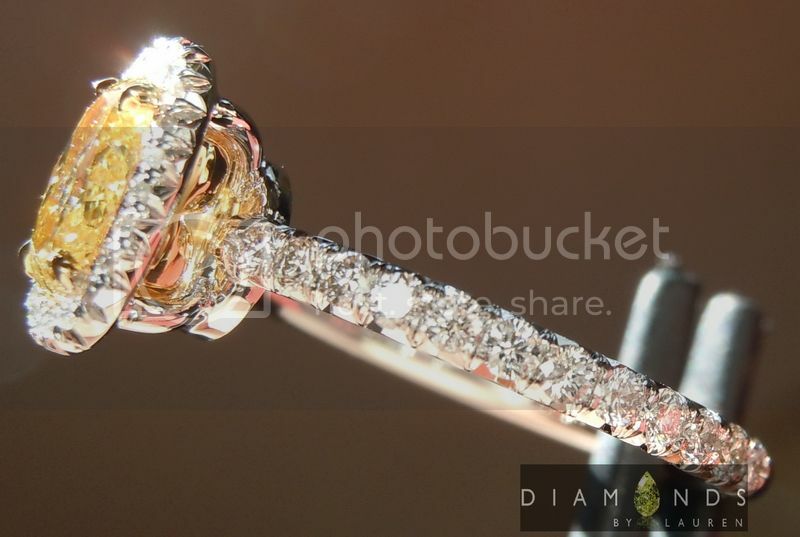 Hand forged Uber elegance in platinum and 18kt.